Recent research has identified some interesting findings that extend beyond the health benefits of golf. Over 10 million competition rounds have been played across Australia in the last 12 months. 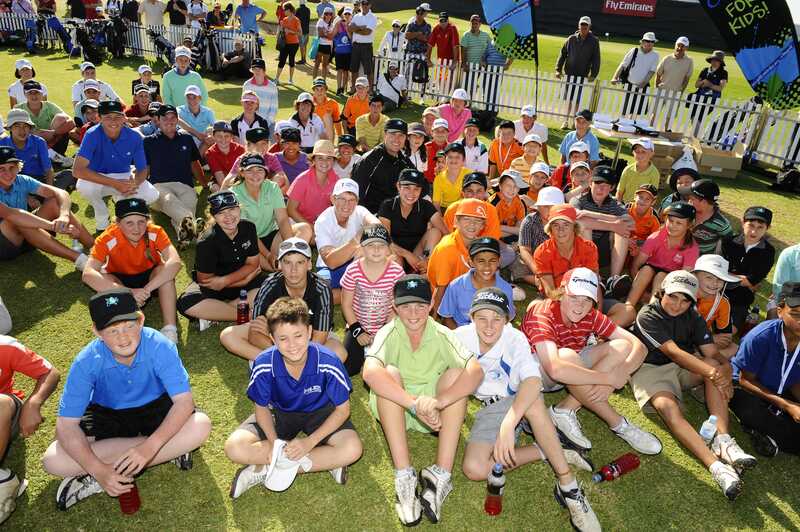 1 million Australians have picked up a golf club to play or practice some form of golf in the last 12 months. Social reasons are the main driver for play, followed by individual competition. Playing while on holiday or travelling came third. Golf generates significant travel in and out of Australia with 29% travelling interstate to play and 12% heading overseas. The average spend by domestic golf tourists on a per night basis is $302, who on average stay over 5.3 nights. Almost 1.6 million golf trips were taken in Australia in 2013, generating 8.4 million golf visitor nights. Since 2008 the number of day trips including golf have increased by an average rate of 2% per year. The Murray River and Gold Coast are the most frequently visited golf destinations by the core golf tourist in Australia. Big recent gains have been recorded by Northern Tasmania, which has become the 4th most frequently visited golf destination in Australia. 174,000 international tourists played golf when visiting Australia in 2013, representing 3.2% of all international visitors. 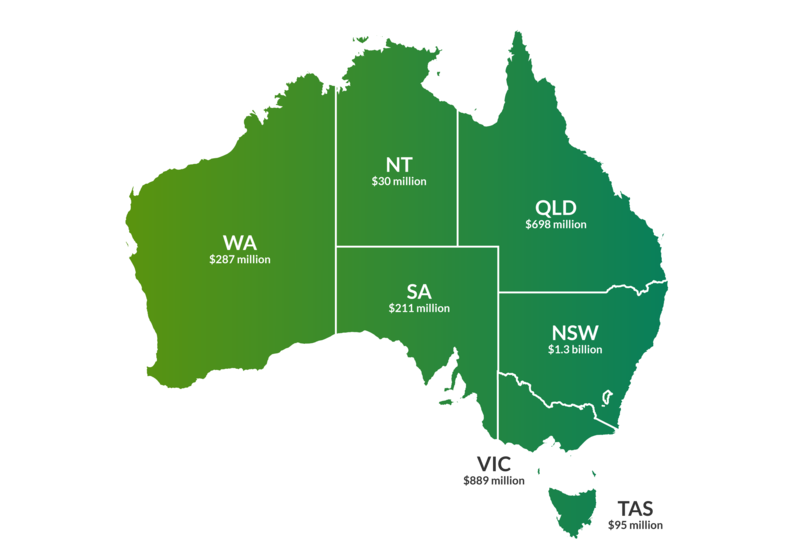 The overall community contribution of golf in Australia is around $3.6 billion a year. The regular and occasional participants (from social to program-based participants, school participants, regular club member competitors, and elite participants at the many events staged throughout the year). Expenditure on services, goods, maintenance, and employees by golf clubs, associations and peak bodies. 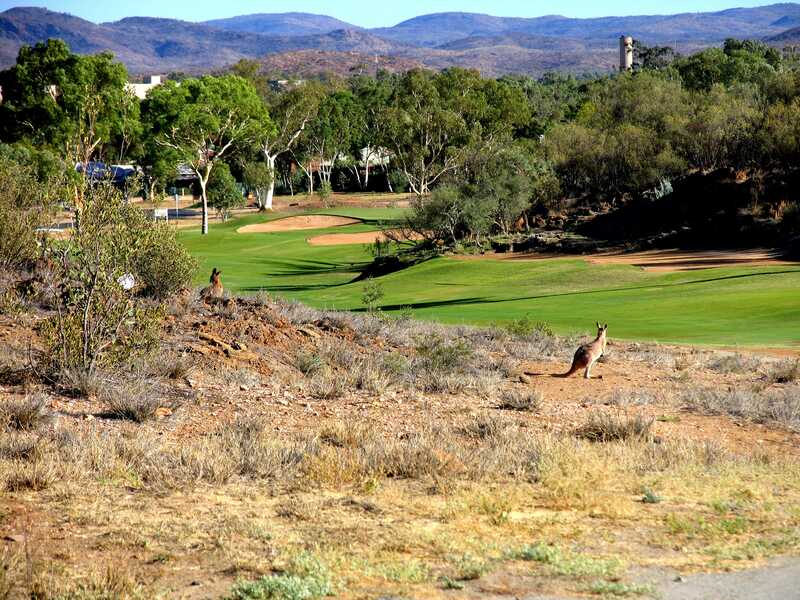 Golf tourism, which generates visitation throughout Australia. Golf training and coaching activities. Retailing of golf equipment and merchandise. Golf also brings health benefits to Australia worth around $132 million a year. Golf’s physical health benefits include the prevention of ischaemic heart disease, type 2 diabetes, stroke, colorectal cancer and breast cancer. Golf also helps prevent anxiety and depression thereby having substantial mental health benefits to the community. Scandinavian researchers have previously found that golfers have an increase in life expectancy of 5 years. 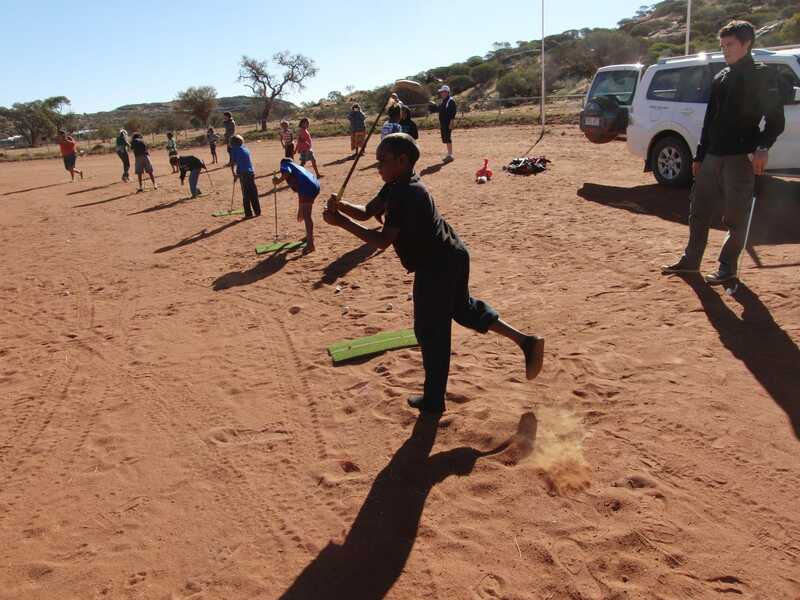 Golf is the highest adult organisation/venue participated sport in Australia with around 966,000 participants respectively and is arguably the only one true Game for Life that a grandparent can experience with their son, daughter and grandchild. Genuine lifelong contribution to the prevention of disease which reduces the healthcare burden on society. Maintenance of strong social capital from youth to well beyond retirement age. Golf clubs are significant local businesses that contribute to the local community through hosting a range of events that include charity and special events. Golf participation provides regular and enduring social interaction. The game has a culture based on respect, etiquette and self-discipline. Golf courses preserve diminishing green-space and provide a sanctuary from the hustle of modern life. Provide a recreational resource promoting physical and mental wellbeing. Promote indigenous flora and fauna and the Australian landscape experience. Preserve open space and remnant vegetation within urban environments. Utilise and treat water resources such as sewage and urban runoff. Improve air quality and moderate heat. Beautify the environment and aid community education on environmental issues. If you want to hear more about the ongoing campaign to grow the community benefits of Aussie golf, please lend your support and subscribe to our updates below.